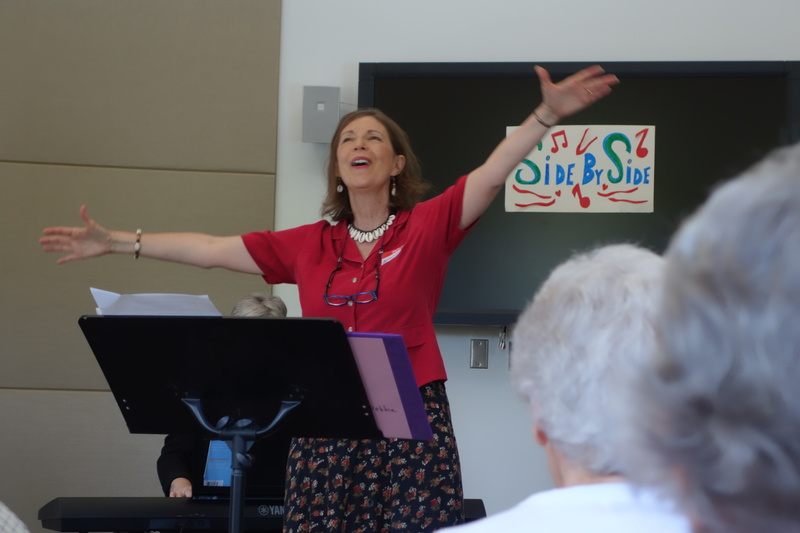 Side by Side Singing: ‘Soul Food for the Brain’, is a new group singing initiative which promotes healthy aging, enhances brain function and strengthens vocal ability. Singing engages both sides of the brain and stimulates verbal and neurological functions, as well as releasing stress reducing endorphins. Those with short term memory loss and/or Parkinson’s disease, as well as their care partners, family and friends, are invited to participate. Those who cannot drive on their own must be accompanied by a care-partner. Each session will begin with musical ice-breakers and vocal warm-ups, followed by singing rounds and well-known songs. Singers will be led in exercises to improve their breathing and vocalization. Though not designed to be a demanding performance choir with specific choral parts, simple harmonies will be taught, and those with a knack for singing harmonies will be encouraged to do so. A few invited singers from community choruses will be added to the mix in order to help anchor the harmony parts. Songs will be chosen to promote feelings of joy and well-being drawing upon songs already familiar to participants as well as introducing new songs and rounds. Deliberate variation of dynamic range will be incorporated as part of the direction to help those with Parkinson’s improve their vocal control. Opportunities will be provided in each session for participants to sing solos and/or play rhythm instruments. Each session will end with 20 minutes of socialization. Refreshments will be provided by the UUFH. Parking is free. The sanctuary is handicap-accessible. You need not read music or be an experienced singer to participate fully. These sessions are sponsored by the North Carolina Center for Health and Wellness. Our host for this series of sessions is the Unitarian Universalist Congregation of Hendersonville.